Winter has gone, F1 is back and I think I speak for everyone when I say that this is a pleasing thing. It isn’t all good news though, as your restful days of no team dilemmas will also disappear whilst your race weekend predictions put you back at the coalface again! Yes, Badger Fantasy GP is kicking off and, let’s face it, we wouldn’t have it any other way. As per last season, I’ll be with at every step with some selection analysis and guidance plus tips on what you factors you should be considering as we head into each GP. I’ll be shaking things up a little this season too with references to last year’s performances, race and qualifying trends as the season progresses and a little insight into your fellow competitor’s winning (or losing) selections. Mr Popular? – Lewis Hamilton has his fans, he has his critics but it will not be a surprise to see he is amongst the top picks of fantasy managers with approximately 13.7% of the total driver picks to date incorporating last season’s champion. Hamilton doesn’t come cheap though and a hefty £24m price tag will undoubtedly mean that compromises have to be made elsewhere. Also, despite wrapping up an early title in 2015, Hamilton will have to ensure that he can find that killer instinct from the off after Nico Rosberg out-qualified him in the last six races of 2015 (and won the last three) – making him an interesting prospect for a £4m saving if he can claw back some of that 121-point deficit to his fiercest rival and team-mate. Laissez–faire? – This is a big season for Kimi Raikkonen and you wonder whether he worries, cares or even notices. A sublimely talented driver, seemingly good value at a whopping £5m discount over his German team-mate, Sebastian Vettel, does he offer an economical but top-line option for the new season? If he truly does, then he’ll need to buck the trend of a truly mediocre 2015 fantasy performance. Yes, the Finn did come joint 5th with 248 points, but that is less than Daniel Kyvat in a struggling Red Bull and only 32 points more than Max Verstappen at almost four times the price! Fantasy players appear to be in agreement with my caution with only 5.6% of the total driver selections including Raikkonen in their provisional line-up to date. Forced hand? 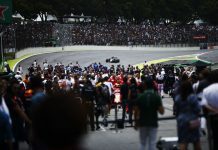 – A dark horse constructor for 2016 may just come in the form of the British-based team, Force India, who had a strong end to their 2015 campaign, accruing 71% of their fantasy points in the final eight races of the campaign. Force India will remain confident of carrying this form into 2016, especially given they have retained their two talented and experienced drivers in Nico Hulkenberg and the ever-more-impressive Sergio Perez. My major concern for Force India is price, at £13m they are a significant £6m more expensive than Toro Rosso, who are heavily tipped for a strong start to 2016. This is reflected in the fact that over double the picks to date include Toro Rosso (14.21%) over Force India (6.72%) though my tip is for the latter to be higher in the fantasy table come the end of the season. Other Tips – Hamilton took maximum points at Melbourne last time out, with Rosberg second and Vettel third. Similar predictions would be a safe bet for this year although the early season testing has not been conclusive as to whether Ferrari have manage to close, or even overhaul, the gap to the dominant Mercedes outfit. 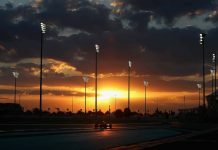 Please be mindful of the new qualifying format too as there is almost certainly going to be one or two high-profile miscalculations and early exists in Q1 or Q2. An early look at the predictions for Melbourne and a trend is very quickly appearing with Hamilton a popular pick for both pole (60.2%) and a race win (68.9%) amongst fantasy players. Weather could be a huge contributory factor this weekend with rain predicted on both Saturday qualifying and during Sunday’s race. Whilst this is all subject to change over the next week, it could provide a few twists and open the door for some further “out of the box” choices in terms of your predictions. There were 5 non-starters and only 11 finishers in Melbourne last year and, with no Pastor Maldonado (sob! ), then the first retiree could be lottery – either an anticipated midfield runner getting mixed up at the start or technical problems for a new entrant could both represent safe choices. Rio Haryanto has the unfortunate pleasure of being predicted to fail with a massive 32% in favour of the débutante retiring first. Jenson Button maintains his fans’ favourite status with a surprising appearance in the “double-figure picks” for a cheeky podium place although I’m personally most aghast that only 4.3% think he’ll be first to retire. The prospects of a safety car are high in Melbourne and 7 of the last 10 races have been graced with their presence though, interestingly, there hasn’t been more than one safety car featuring in a race since 2009 (but a ridiculous 9 in the four-race period between 2006 and 2009). Tyre choices are fairly consistent across the board with drivers with only the Manor pair bucking the trend with double the amount of medium tyres compared to their rivals. Could one of them be in line to run longer on Sunday and grab a decent haul of well-earned bonus points?